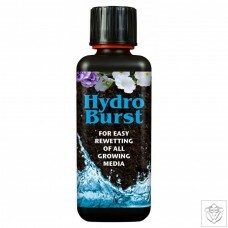 HydroBurst is formulated and blended by experts, especially for Growth Technology. Soil and coco growers should add this to every nutrient mix. Adding HydroBust will allow nutrients and moisture to penetrate the entire volume of soil. HydroBust reduces risk of stress by minimising drying out. 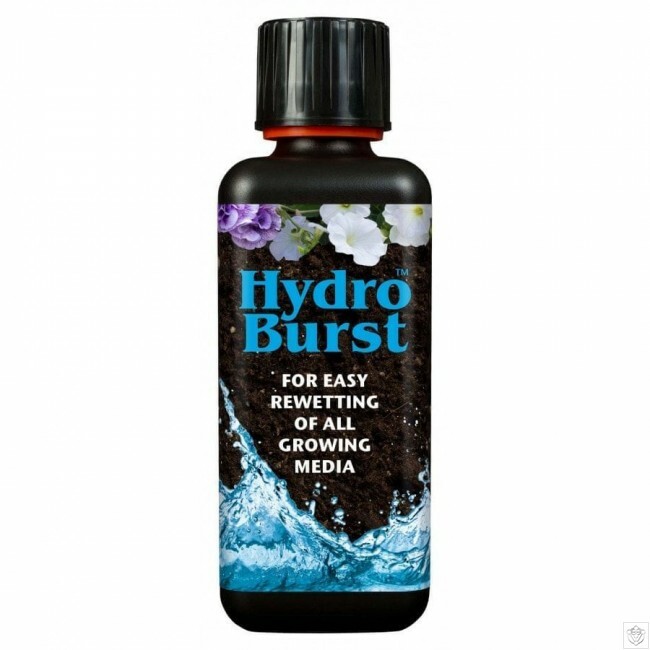 HydroBurst is designed specifically for plants grown in pots or containers of soil, coco, and other solid media - to solve a problem that many growers are unaware of, namely the uneven wetting of all these horticultural media. When small dry areas occur in the pot they can rapidly become resistant to wetting and remain dry even when the container is re-watered. Water applied from above whether by drippers or hand watering will always seek the easiest route downwards. It will follow well-travelled pathways - always moving downwards. Water is attracted to areas of moisture and will not travel sideways into the dry soil areas very easily. This effect can dramatically reduce the volume of soil and nutrients that are available to the roots. Combating this will, unsurprisingly, have a positive effect on growth rates and on crop performance. how many gallons of water will 1ltr of hydroburst make?